If you are interested in any of the following retreats, please email Joan. The Iona Retreat is truly a journey of the soul. This tiny island in the Hebrides on the west coast of Scotland offers abounding “energy” different from any you have ever experienced before. Many pilgrims feel a sense of peace immediately upon setting foot on Iona’s shore—wants become less—needs become minimal. There follows a gratitude for the silence and contentment that over- comes you. As such, this retreat is for those who are at a crossroad in their lives and truly seek change. We will be staying at the Argyll Inn, a quaint 3 star hotel. The objective is to draw on the ancient wisdom and apply it to our modern lives. Each days agenda includes working with our mind, body, and spirit. We will come to understand the Celtic and Druid mindset, embrace the Divine Feminine, understand each phase of womanhood, fine tune our innate energies by exploring the 7 chakras, all the while working the Eriksonian lifecycles to know our strengths. 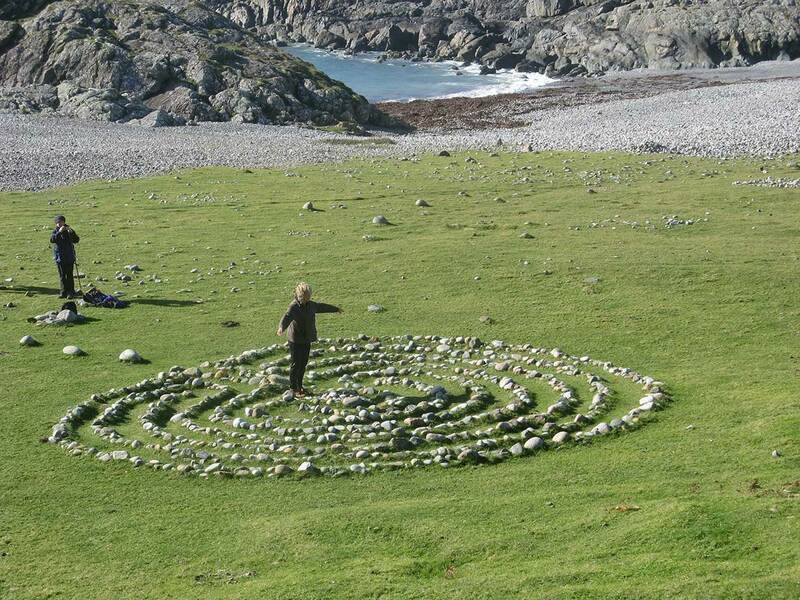 As part of the pilgrim’s quest we will be visiting Dun-I at sunrise, the Hermit’s Cell, a magical labyrinth, Iona’s magnificent Abbey, and St. Orin’s Chapel. Trekking to the four corners of this island is the hallmark of this retreat. Most of the walks are on seldom used roads, fields, moors and rugged pathways. Several have significant uphill portions. Please be as realistic as possible in assessing your level of fitness. This retreat is limited to 19 women. Rooms vary in size and view and will be assigned on a first come basis. Download the physical requirement form. October 23-27, 2013 | ONLY THREE SPOTS LEFT! Who am I Beyond the Roles That I Play?